Since I was a child I always felt something special, a freedom sensation, when I was in the water. It was usually fresh water and the sea came a bit later, but in a stronger and definitive way. My bond with the sea is one of the big keys of my life. In any other place I feel as ALIVE as when I'm under the SEA. If you add my passion for the image world, the result is obvious: I'm a devoted underwater photographer. 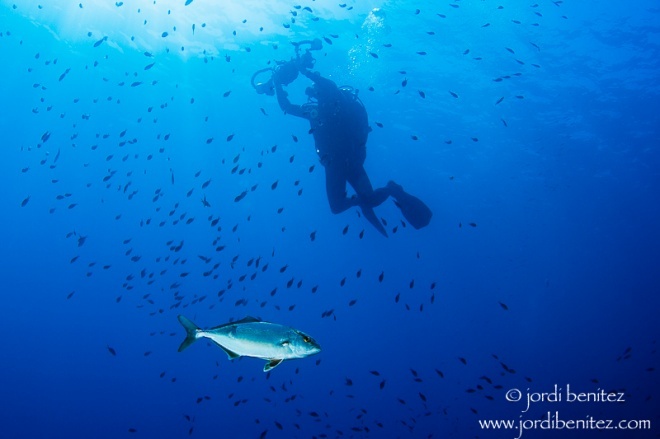 Capturing the the wonders I see underwater, and specially what I feel being there, is the main motivation of my work. This website only pretends to share a small sample of it.